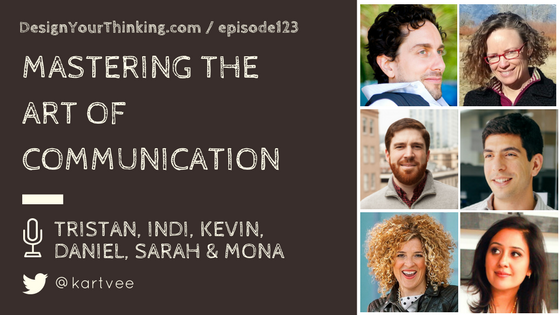 In this Topical Zoom episode, I speak with 6 experts about Mastering the Art of Communication, a key Product Mindset topic. I speak with Daniel Zacarias, Kevin Steigerwald, Tristan Kromer, Indi Young, Sarah Doody and Mona Patel. forms of communication beyond written or spoken. Subscribe to my newsletter (DYT Insider) from the below form to get updates and participate in documenting the Product Mindset (and be the first ones to get a copy of it when it is ready!). Previous Post DYT 122: 4 Career Success Secrets You Must Know Next Post Why Should You Focus on Building Better Relationships In Teams?